I want 3D Warehouse back on my SketchUp!!! From June 1st, 2015, SketchUp 8 and SketchUp 2013 users won’t have direct access (from inside the application) to 3D Wharehouse (and a few other web-features). This has been announced a while ago, but many people are still confused about it. We have even seen people who believe SketchUp 8 and 2013 will cease to work, among other strange assumptions. Don’t worry, this is not the case. The thing is these were the last versions developed by Google. Later, SketchUp was sold to Trimble, which is responsible for SketchUp 2014, 2014 and onward.When you search components inside SketchUp 8 (or 2013) you are using the previous 3D Warehouse servers, from Google, after that you are directed to the new Trimble servers. This was part of the commercial agreement (to support earlier users), it had a time limit, and now it will be over. Anyway, it is still possible to download 3D Warehouse objects using any browser, like Firefox, Chrome, Internet Explorer or Safari – no change there! So you can still keep using SketchUp 8 as usual. The 2013 and 2014 versions of SketchUp were introduced within a very small time interval (an unusual strategy in the software industry), and our SketchUp Pro 2013 Step by Step book had just been released. This little book is just about the new features; We hope you’ll enjoy reading it and using SketchUp Pro 2014! During the period it was part of Google, SketchUp evolved in the direction of integration with Google’s own applications and services, such as Google Maps, Google Earth and Street View. It was at this time that 3D Warehouse, the free 3D model hosting and collaboration service, was launched. Such innovation helped catapult SketchUp to a market leader position, by creating a type of service that today is almost mandatory for any software that wants to remain relevant. For instance, we can think of Autodesk Seek services for AutoCAD, Revit, and others, or Bimcomponents for ArchiCAD, among other existing “warehouses” on the internet. However, innovation has stopped there, as the goals set by Google for SketchUp didn´t go much beyond that. The result was stagnation of the software, which went three years without a major upgrade. Hence in the middle of 2012, the Trimble Group, a global leader in the GPS market, agriculture, engineering, transportation, logistics, and software, purchased SketchUp, as it did with other relevant software to the BIM production chain (as Tekla’s for structural design and compatibility, and Vico, for construction management). It is only natural that Trimble intended to turn SketchUp into an increasingly professional solution for creation and development for the AEC industry. The first step was taken in this version. 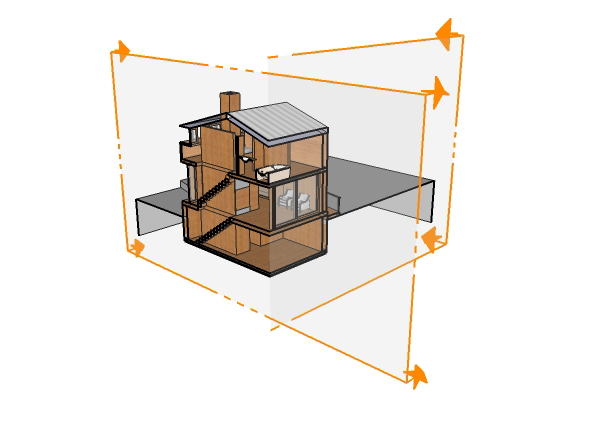 With SketchUp Pro 2014 you can classify objects according to the standard IFC and export your model to other software in that format. This inserts the SketchUp definitely into the BIM world. Another important novelty of 2014 was the introduction of automatic texts in SketchUp LayOut, a resource that can be used to streamline the production of labels, stamps and even act like Revit´s notable tags. We believe that, under Trimble´s administration, SketchUp Pro should be increasingly oriented to the creation and production of models and drawings to meet the AEC market needs, while SketchUp Make will continue with its classic features that made it one of the easiest 3D modelers to use. Well, surely there are some hidden features we couldn’t find. Did you see any? Comment down there! 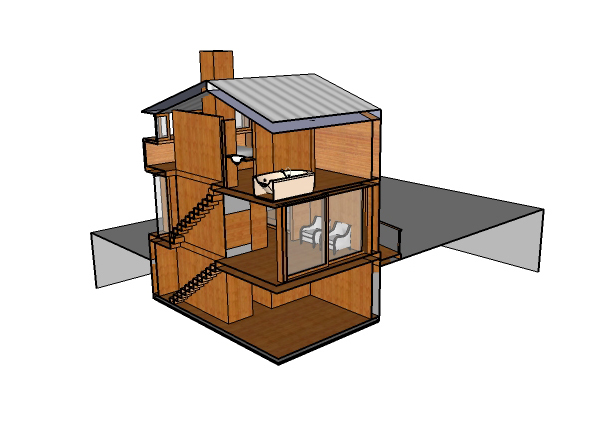 The idea is to keep this post updated, so that everyone can refer to what’s new on SketchUp 2013! 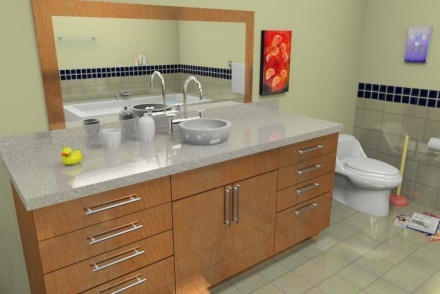 When making your first renderings you will probably think of adding mirrors and lights, but you may ignore the value of adding reflective properties to other surfaces. A reflective floor can make the difference between a flat image and a realistic look image. The same is true of metal, wood, plastic and other surfaces. Spending time on these details can make the difference between a boring, flat image and an engaging, realistic one. 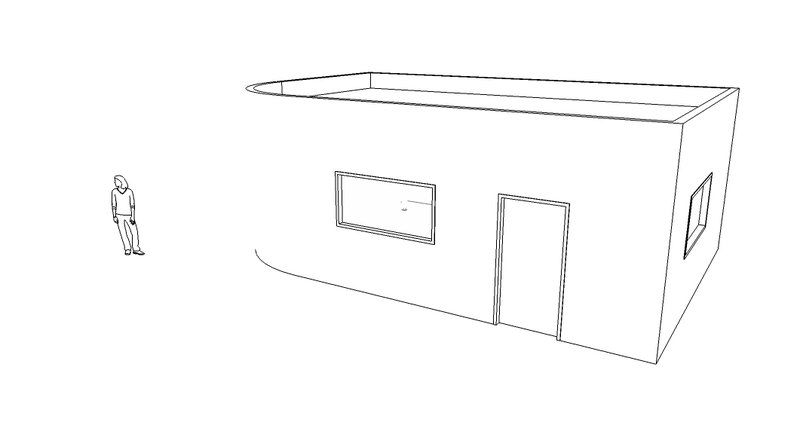 A nice and easy way of getting shadows with a hand-made hatched look for your SketchUp presentation. Combine your shadow hatch layer with the edges as you see fit. 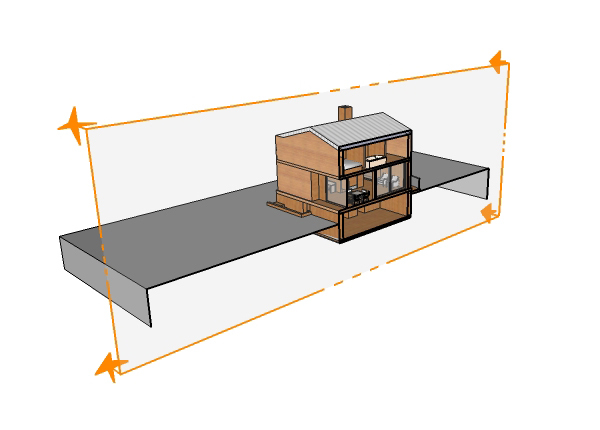 To get SketchUp edges looking simmilar to those from your Photoshop Brush, you might want to have a look at the Style Builder, available with Google SketchUp Pro. Take a thin Photoshop Brush (less than 4 px), create some straight strokes and import them on Style Builder where you can create a new SketchUp sketchy edge style. Exporting the edge only image using this style and then using the same brush on Photoshop will create a more consistent look. 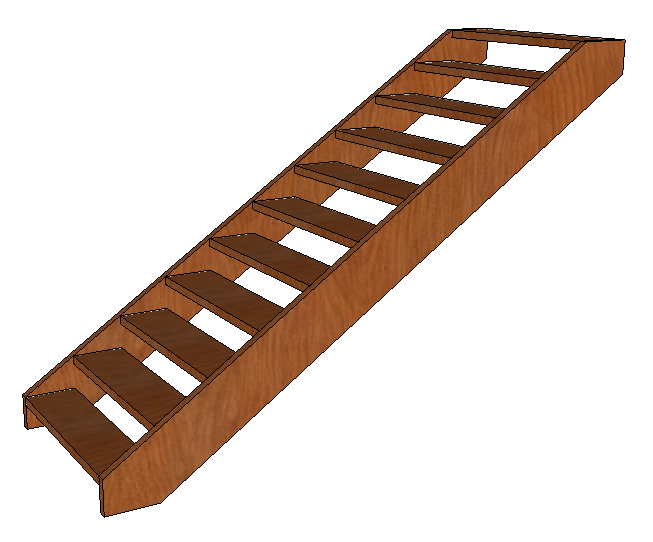 The Section Plane is a powerful SketchUp feature. You can cut your model anywhere in realtime. 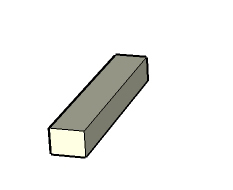 You can create as many section planes as you like, but SketchUp will only allow one single active section plane at a time (in the same context, as we will see). To use simultaneously active planes, the trick is to group your model with a section plane and create another one outside the group. 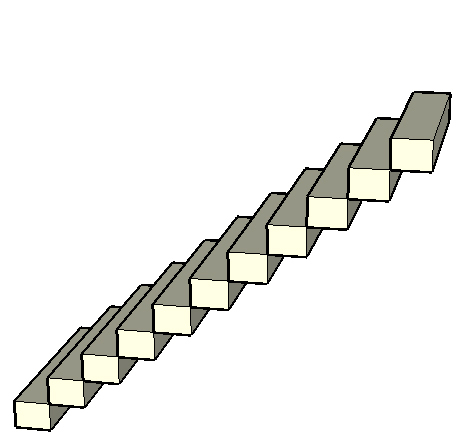 A model without Section Planes. 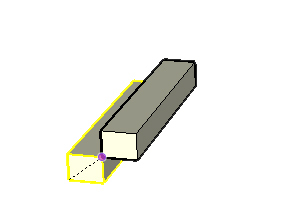 Create the first section plane, and place it at the desired position. To avoid letting any part of the model out, double-click the first section plane to de-activate it. Select the model parts and the section plane and create a group. 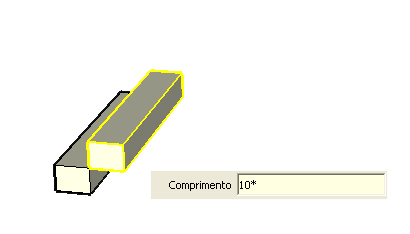 Now create a new section plane. Edit the group to activate the first section plane. Now you have a model with two simultaneously active section planes. This can be used as a presentation tool, to explain internal features of your model. Create an “open riser” stair! On an earlier post you saw how to create a stair using multiple copies of a thread component. On this post you’ll see how to improve on that model. 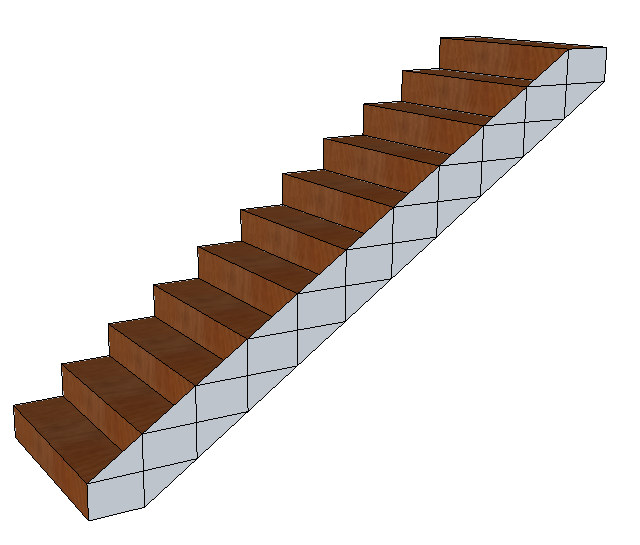 To draw the stair stringers, pick the Line tool and draw the edges as shown below. Now use Push/Pull to extrude the face and make it into a Component. Then use Move (press and release Ctrl) to copy it to the other side. Now let’s make the thread so as to make the “open riser”. Enter the thread component edit context by double-clicking one of the threads. Then use Push/Pull pushing up the bottom face to get the desired thickness. To conclude, select all the parts to create a single stair component. Draw a stair using the “multiple copies” feature! Something every SketchUp user should know, as it’s a huge modeling time-saver, is how to create multiple copies of an object with the move tool. This is sometimes called a “linear array” on other software. Draw a rectangle and make it into a volume using Push/Pull; Select your newly created stair thread element and press G to make it into a component. Pick the Move Tool, press and release Ctrl on your keyboard and use the mouse to create a copy as shown. Just after clicking to finish the first copy, type the number of copies you want followed by X or * and press Enter. Done, a basic stair using multiple copies. 1 – DuPont Corian Color Pallete: DuPont Corian textures, the synthetic solid surface material used on sinks, washbasins and countertops. 2 – DuPont Corian Edge Treatments: Nice stuff, this file contains modeled details compatible with Corian use, so designers can see the best ways to apply it. 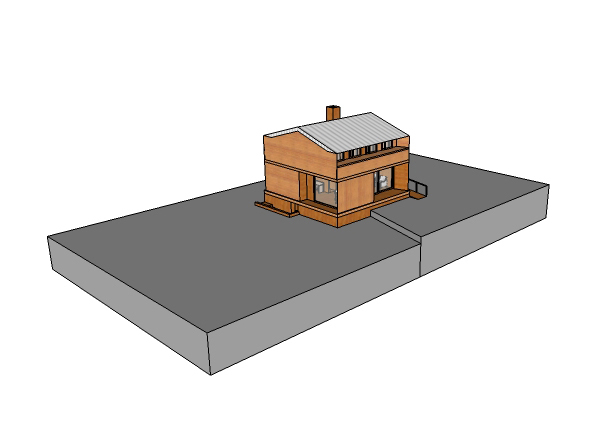 SketchUp has many visual style features and settings but sometimes simplicity is best to bring on clarity on a design presentation. At the face style options, “Hidden lines” might be just what you need to achieve that. But if your model has curved surfaces with edges that won’t show on Hidden Line, you might want to activate “Profile” and set a pixel value of 1. Go to the Window menu > Styles > Edit tab and under the Edge Settings (first cube) you’ll find the Profile checkbox and pixel width value setting. Hidden Line only. Notice the curved wall edge is missing, and one can’t see the sofa details inside the building. Hidden Line, with Profile on and set to 1, so as to keep the same line width of the other edges. Notice the curved wall edge is visible, as well as the sofa details.